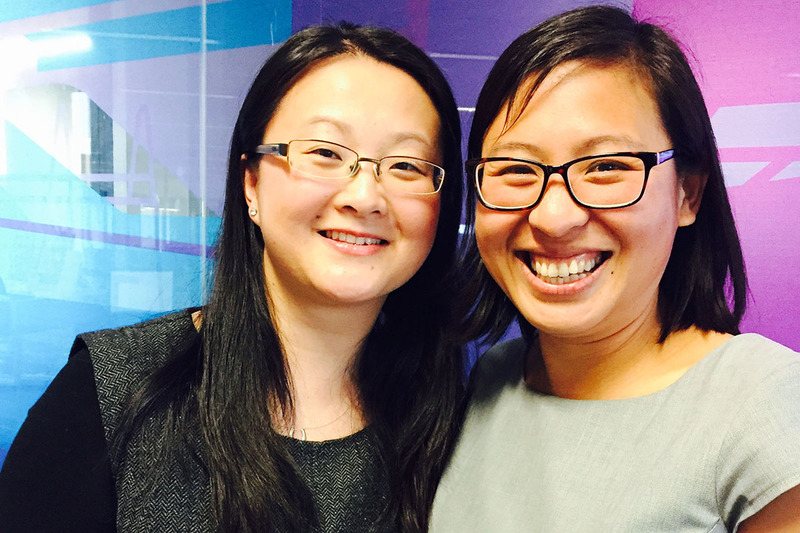 Joanne Cheng and Chinetta Ren are job share partners whose early careers in the banking world led them along a similar path. 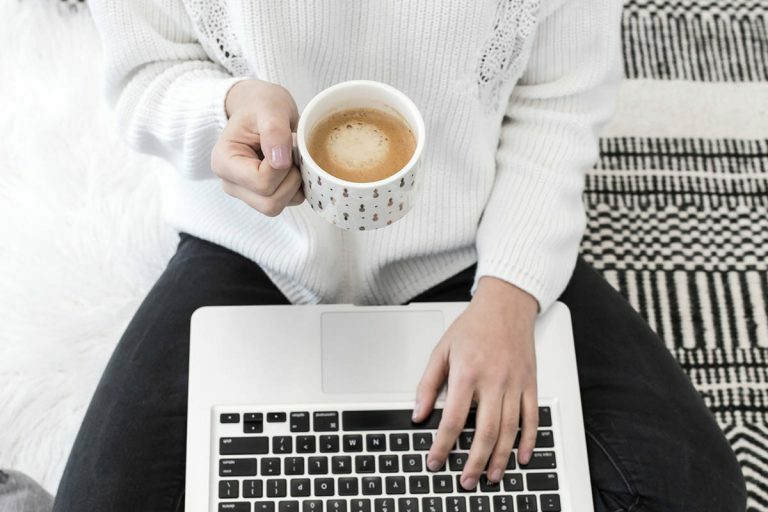 After motherhood provoked a desire in both women to work flexibly, they took the plunge into a job sharing arrangement and haven’t looked back. 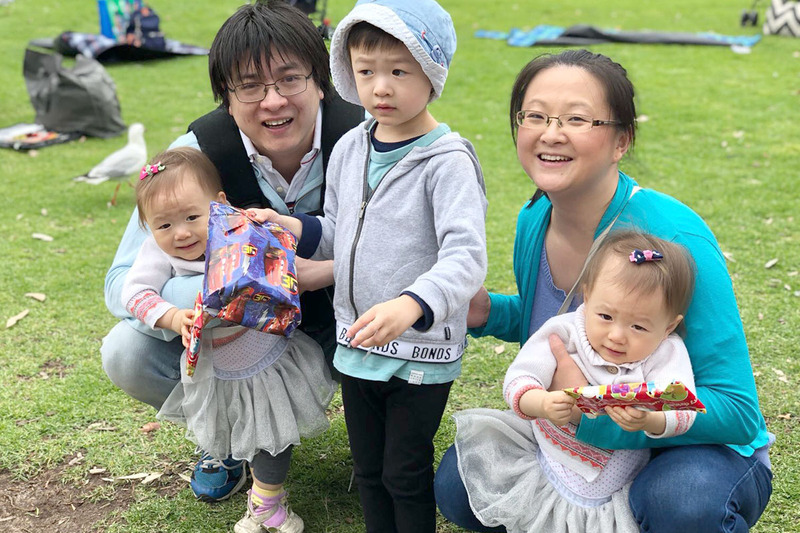 They now share not only the role Associate Director Government, Education and Community Business at National Australia Bank Limited (NAB), but also the rewards of flexible working and a fairy tale friendship. This dynamic duo chat to us about finding a unique solution to the work-life integration challenge and the key to their amazing partnership. Joanne: I joined NAB as part of the Graduate Program in January 2004, initially working at Elsternwick Business Banking Centre for eight years, progressing from Analyst to Level 3 Relationship Manager. Following that, I moved across to NAB Corporate Victoria as an analyst before I joined forces with Chinetta and became a Level 4 Relationship Manager/Associate Director in Corporate Health and, most recently, in Government, Education and Community Business looking after not-for-profit clients in the health sector. Chinetta: Like Joanne, I joined NAB as part of the Graduate Program in February 2005, working at the Melbourne Office Business Banking Centre where I progressed from Graduate, Financial Analyst to Credit Analyst. Next, I joined NAB Corporate Victoria in my first management role as a Client Manager, then as a Level 3 Business Banking Manager at NAB Health. After the birth of my first child, I joined forces with Joanne and became a Level 4 Relationship Manager/Associate Director in Corporate Health and, most recently, in Government, Education and Community Business looking after not-for-profit clients in the health sector. 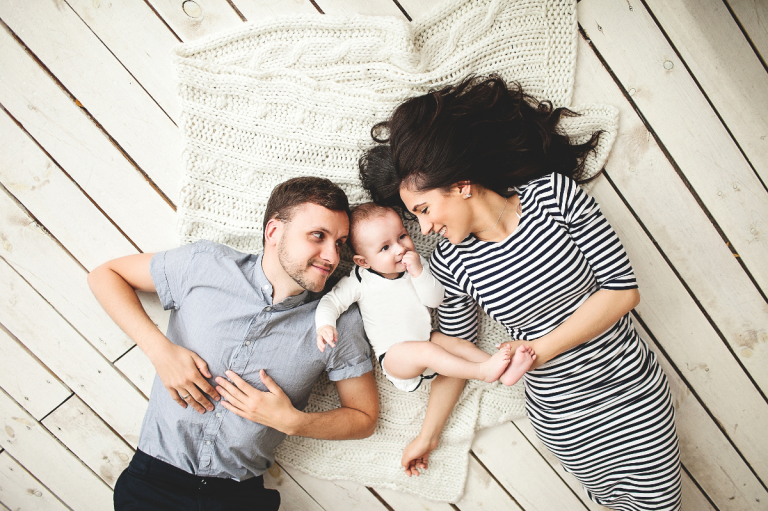 Did your career change after becoming a mother? Were you more or less ambitious? Joanne: My focus has definitely shifted after having children. Work is no longer the top priority, although self-pride does ensure that I always strive to deliver the best outcome possible for all key stakeholders. I do not consider myself to be overly ambitious, but a key priority (both past and present) has always been to improve upon my existing skill set, acquire new skills and make a difference to the community. Chinetta: Since becoming a mum, I am even more aware of the importance of work-life harmony. I have always been a very driven individual and passionate about my family and work. I take immense pride in my work and delivering value to my customers. Seeing my family and clients thrive makes me happy. Whilst balancing my busy family and a job share arrangement at work, I’m focused on role modelling that job sharing can be successful if you find the commercial chemistry with the right partner. 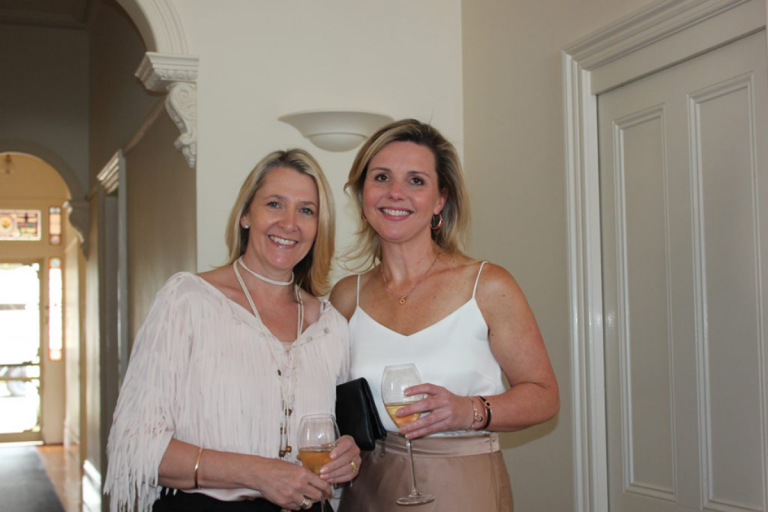 If Joanne and I can inspire others who wish to explore flexible working arrangements and if we can help others achieve this goal and make it work, then we have been successful! You both now job share. Tell us about this. 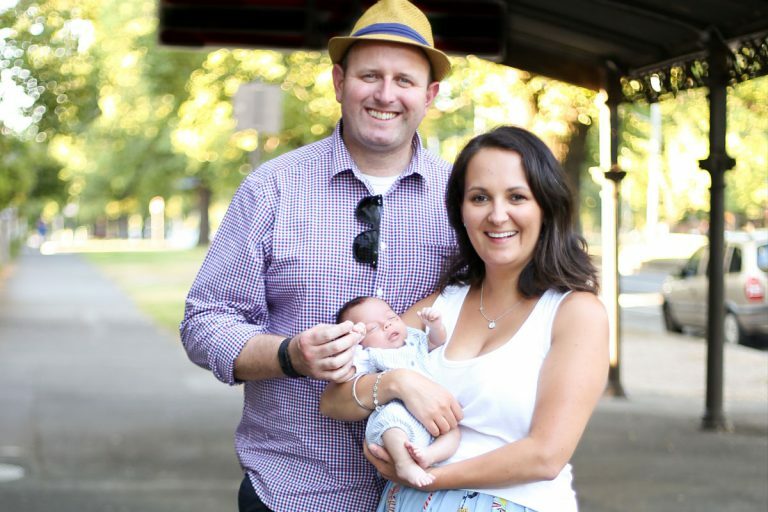 Joanne: Chin and my job share journey commenced after I had my second child, Ellie, and Chin’s first, Jamie. At the time, we were both looking for part-time roles, but there were limited opportunities available within the organisation that suited us. Chin approached me with the proposition of a job share partnership and it didn’t take me long to see that this arrangement could be a great opportunity to pursue interesting work, whilst working flexibly on a part-time basis. Once we decided to join forces and job share, we then started looking for roles together. Our current role is Relationship Manager, looking after not-for-profit clients in the health sector. We each work three days per week, with Wednesday being our overlap day (always the highlight of our week!) and therefore making up 1.2 full-time equivalent. We have been job share partners since January 2015. Job share can be a most rewarding experience, but it all depends on who is your job share partner. I am extremely fortunate that I have found someone who is confident, authentic, shares very similar personal and corporate values, takes pride in her work and, most importantly, has an amazingly warm and energetic personality. Over the course of our job share journey, Chin and I have really become great friends and mentors to each other. It is like working with your best friend. I trust Chinetta implicitly and know that she will always have my best interests at the forefront of her mind in everything that she does. Did I mention that we were both on parental leave at the same time with our most recent babies! Oh, and, coincidentally, our hubbies also have the same birth date, but are born in a different year! Chinetta: Jo summed up perfectly above how our job share arrangement works. But I will add, we both agree it is the best role we have had thus far at NAB. We love working together and have literally been blessed, as it feels like we are working with our best friend–someone who shares similar values and who also takes pride in our work. Wednesdays are definitely a highlight of our week (as we’re in the office or out on the road visiting clients together) but did Jo mention, we actually communicate daily as we support each other in our personal lives too?! What are your top three tips for making job share work? 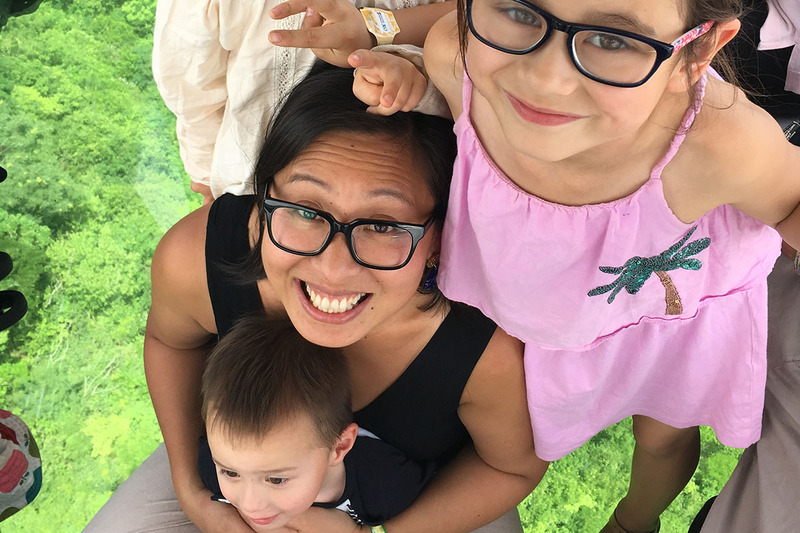 Joanne: Being a mum is amazing, and working provides me with the opportunity to invest in me as a professional person, whether it be building my skill set or broadening my professional networks. Chinetta: I love what I do and the space I work in, and going into work allows me to stay connected and engaged with clients, and internal and external stakeholders. It gives me the ability to assist others and give back. I love being a mum because it is simply the best ‘job’ in the world. I say ‘job’ because I often answer to three little people (aka my bosses on my personal board!). How would you describe each other in three words? Joanne: Chin is confident, warm, loyal and positive (with a great outlook on life!). Sorry, I couldn’t narrow it down to three! Chinetta: Jo is passionate, hard-working and loyal. Do you both suffer from mother’s guilt? Joanne: Initially I did suffer from mother’s guilt, but I now know that being a working mum helps me become the best version of me. The current arrangement of part-time work makes me appreciate even more the time that I have with my children. Chinetta: Yes, sometimes I do especially when I have to leave the kids at kinder or childcare, or if I’m heating up a frozen meal or ordering Uber Eats. But, I always try and refrain and think of all the positive things that I do instead. My children are growing well, they are fed and have a roof over their heads. We are blessed with what we have, ie glass half full is the way to go! What was the most challenging part of returning to work? Joanne: Having my child start childcare and finding the balance between work and life. Chinetta: Leaving the kids in the care of others. But having strong family support and a wider support network helps. ‘It takes a village,’ as they say. We should trust in others. How do you juggle motherhood and work? What are your time management tips? Always prioritise what’s really important, and ensure you stick to this and don’t compromise. Plan ahead and, where possible, always have a Plan B, eg back up for childcare pickup or prepared meal in the freezer. On the home front, meal planning or fitting in chores when kids are napping or sleeping, and cooking on weekends for the week. On the work front, taking full accountability for my work, communicating with my job share partner and having the same shared work ethic. It works! Plus, I trust Jo implicitly and we both agreed before we commenced our job share that when the other isn’t at work, the one who is there represents both of us 100%. Our clients have actually provided feedback on numerous occasions to say we work in a very similar way and they love our job share arrangement! Joanne: Put trust in others and have faith in yourself. Chinetta: If you see an opportunity, reach out and go for it. No fear; no self-doubt; no regrets. Back yourself. You are in charge of your goals and career. Joanne: I don’t watch much TV, only Australian Story and Insight. But I do love reading trashy romance novels by Irish authors. Chinetta: Suits (how amazing is their wardrobe and Harvey Specter!) and, erhm, The Walking Dead–even though I don’t like horror…haha! Why is it so hard to return to work? Joanne: I think that this really depends on the period of time that you were able to spend with your child before returning to work. For me, my ideal parental leave period would have been two years, however, I returned to work earlier for mental and financial reasons. Chinetta: Leaving the little kids behind when I set off in the morning is difficult. But I found NAB’s parental leave policy to be excellent, and returning to work after a 13 month period suited me perfectly. What do you think needs to change in workplaces? Joanne: More support and contact during parental leave. I felt that I received great support prior to parental leave, but when on leave it felt very much like ‘out of sight, out of mind’. Also, increase in the number of flexible roles across the different groups and levels within NAB, so that returning parents have greater ability to achieve work-life balance. Chinetta: Eliminate the unconscious bias against part-time workers and those who work in a flexible arrangement. Create more part-time specific roles for those who don’t wish to take up job share but who still want to return to work. How hard is managing a career and being a mum on a scale of 1 to 10? Joanne: I feel that this is strongly influenced by the support that you get from your partner and management team, as well as the age of your children. For me, it’s probably eight or nine at the moment, given that my children are still relatively young (six, four and nearly two years old). Chinetta: I would say eight due to all the commitments and demands from home and work and the mental load. Joanne: when I sit down to have dinner with my family. I love hearing my girls talk about their best/favourite thing that happened to them that day. Chinetta: when I’m home at the dinner table with the family, and on weekends when my husband, Melv, and I take the kids out. We have three children: Jamie (four and a half years old), Jasmine and Chloe (23 month old identical twin girls). They are all very chatty so the dinner table is never quiet. Joanne: I’m not really on Instagram, but I do love A Mighty Girl Facebook page which always has inspirational information about women (past and present) who have achieved great things. Of course, Circle In is pretty good too. Joanne: I am with family or friends, or eating lots of yummy food. Travelling is also pretty amazing. Chinetta: I am spending quality time with my family and friends, eating yummy desserts, and when I’ve felt a sense of accomplishment (either in my personal life or in a work sense). Joanne: sweets and earrings–I simply can’t say no to either of them! Chinetta: chocolate, ice cream and OPI nail polish! Joanne: colourful earrings–but if that’s considered an accessory, a pant suit with a colourful top. Chinetta: a nice work dress and jacket. Joanne: jeans, t-shirt and runners. Chinetta: definitely jeans, a top and my Sketchers! Joanne: I don’t have a specific person, but I do get a lot of inspiration from family and friends. 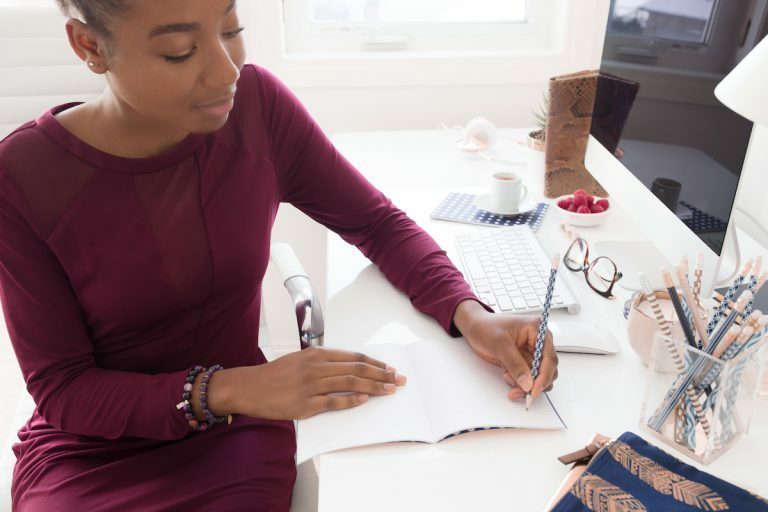 Chinetta: I don’t have anyone specific, but I do look up to (and follow) the activities of motivational speakers, and other mums who balance their home and work lives and achieve success. Joanne: Would love to say heels, but I’m definitely a flats girl now. Chinetta: Would love to say heels as they look amazing, but I’m a flats girl too.